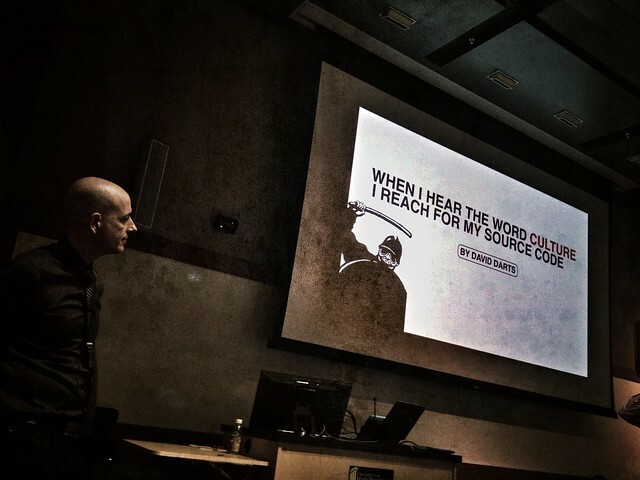 Yes this post is an excuse to show another Alfred Hitchcock animated poster which I made while at UMW’s Faculty Academy (with Rear Window & North By Northwest this makes three, nine to go). But I’m not going to write about the film Vertigo and the designer of this poster Saul Bass. Ok one thing, how much does the man spinning in the middle remind you of the Don Draper silhouette tumbling in space in the opening titles of Mad Men. There was Michael McCarthy’s Literary Journals class which has, “students conceptualize, build, and design their own web-based literary journal.” I loved how he polled his students about their interests in non-fiction, fiction, poetry, art, and design using a hotness meter to help him create groups. His students solicited for work using old fashioned flyers on campus, but also Craiglist and by directly soliciting MFA programs around the world. McCarthy showed us a spreadsheet of over 192 entries being tracked and curated by one group of students. You should check out the journals Husk and Jolt, they’re really impressive. Zach Whalen lead us through his electronic literature class sharing a ridiculous number of digital tools and resources that his students engaged with. (This list is for you Luke). HypeDyn, Bloomengine, Undum, Inform 7, Twine, Jason Nelson digital art and poetry, Curveship, Scratch, inklewriter, Adventure Cow, and Playfic. And Jeffrey McClurken reflected on building a syllabus collaboratively with his students in a History of the Information Age course. He set-up a framework for the class and released the syllabus to the students as a ‘0.9 beta,’ which was taken to a 1.0 version and then a 2.0. Students had the opportunity to steer both the content focus of the class (choosing readings) and the types of projects they would complete. This included students choosing to make documentaries, despite McClurken warning that they were long and hard to work on (great teaching Jedi mind trick). Faculty Academy also featured three speakers – Grant Potter, Giulia Forsythe, and David Darts. I’ve heard Grant and Giulia talk a lot on ds106 radio, but they really take it up to another level for a live show. I hadn’t known about Grant’s work in Northern Canada where he re-purposed an underused FM transmitter to ‘bring the school to the community’ distrustful of public institutions by getting students to broadcast their work in the classroom. And Giulia had the entire audience doodling reaction graphs to her talk on visual thinking. Her ability to literally draw together her understanding of a talk into a single image that is coherent and playful is extraordinary. And finally there was David Darts (below) who’s talk felt more like listening to someone muse about a topic over dinner than a formal presentation. His work on the Pirate Box, was something I’d know about through Jim Groom and Grant Potter’s ds106 radio interview of Darts in his NYU office. But I’d never heard of Cory Coctorow’s Printcrime which imagines a world 3D printer bootlegging. That story and Tim Owen’s thoughts about makerspaces has me hooked on the idea of getting a Makerbot for the York’s CT program. Overall, Faculty Academy 2012 was a fabulous experience and I’m sure CUNY will return and represent next year. Thanks so much to Jim, Martha, Tim, Andy, and others for having us! « Reorienting My Compass, North by Northwest? » Ode to Timmmmyboy! 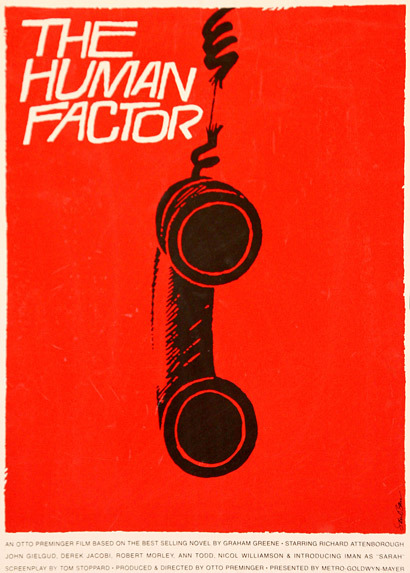 I LOVE that you made an animated GIF of this Saul Bass poster. And I really hate that I did not! Thanks Cheryl. Saul Bass rules. They must be some others to do. The The Human Factor looks ripe for animation. Just make that phone bounce up and down.